Veganuary inspires hundreds of thousands of people around the world to try a vegan diet for a month. It takes place all year round, but most people take part during January. Veganuary 2019 is supported by Pulsin. 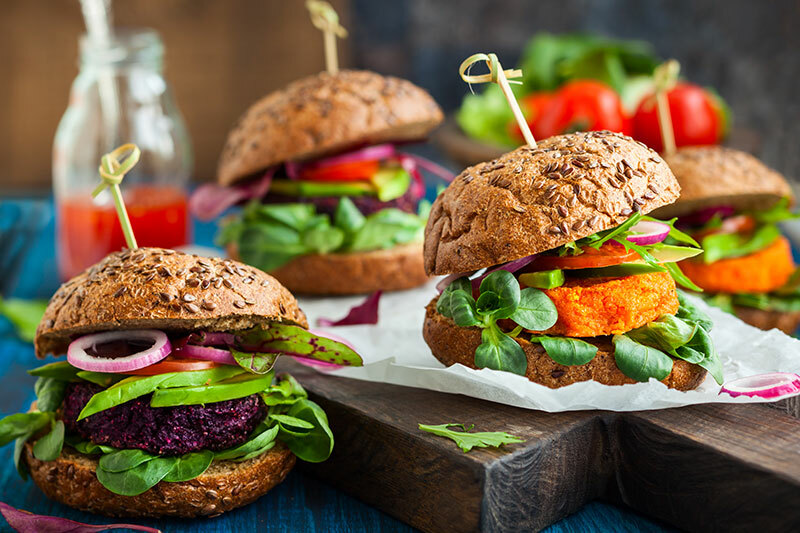 By the end of the month, participants know much more about eating a vegan diet, how easy and tasty it can be and about the many positive impacts it has on animals, the environment, and our health. Many people choose to go vegan permanently after taking part. The Veganuary pledge is run by a UK non-profit called Veganuary. They were founded in 2013 and became a registered charity in 2016. Veganuary is dedicated to changing public attitudes and behaviours, while providing all the information and practical support required to make the transition to veganism as easy and enjoyable as possible. Veganuary is more than a pledge: they also support brands, manufacturers and retailers to expand their plant-based options and reach new audiences, support vegans to become advocates, and work with decision makers to champion the interests of vegans and the vegan-curious. The pledge is taking the world by storm, with over 250,000 people in 193 countries taking part since 2014. Participation has doubled each year since the first campaign. In January 2014, 3,300 people took part. Growing to 12,800 in 2015, 23,000 in 2016, 59,500 in 2017 and a staggering 168,500 in 2018, that’s +183%! For the 2019 campaign, it is anticipated that a further 300,000 people will take part around the world. Research shows that health is now the second biggest driver for so many people going vegan. More and more people are ditching animal products in order to combat specific health problems. 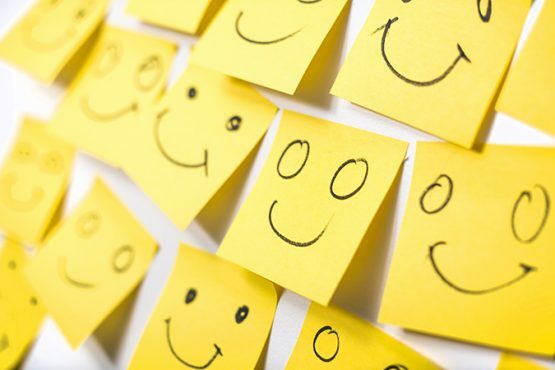 Others report general improvements in energy and vitality, and participants often comment that they’ve ‘never felt better’. Stories of successful vegan athletes and sports stars are on the increase, and plant-based living is regularly profiled in health and wellness publications. 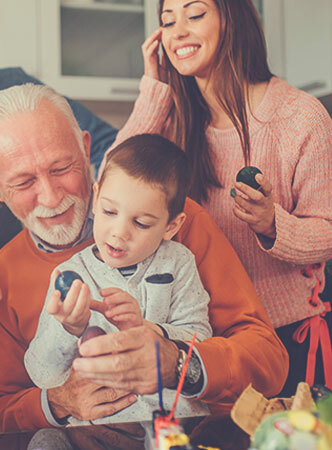 The British Dietetic Association agrees, saying that well-planned vegan diets can support healthy living in people of all ages. Animal agriculture is a bigger contributor to climate change than the whole global transport sector – eating vegan is a great way to halve your dietary greenhouse gas emissions. Lucy Watson returns with more simple, straightforward vegan comfort food to brighten up your mealtimes. 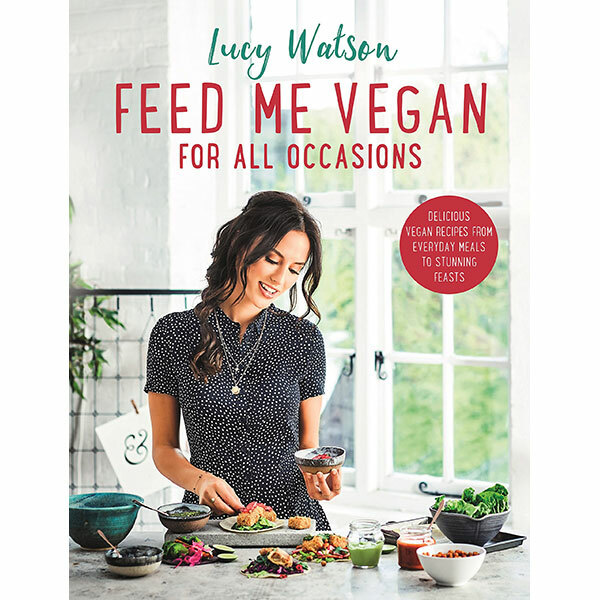 Feed Me Vegan: For All Occasions is full of easy recipes for everyday veganism, from a quick, week night pasta to blow-out Sunday feasts. It’s also brimming with ideas for cooking for special occasions, solutions for those trips where the vegan option is a side salad, or meals for those friends and family who just don’t believe this really is what vegans eat! With an emphasis on great flavours and fresh, seasonal dishes that don’t rely on substitutes or hard-to-source ingredients, Áine’s style of cooking will appeal to everyone, from vegan-cooking enthusiasts to those simply wanting to dabble now and then. 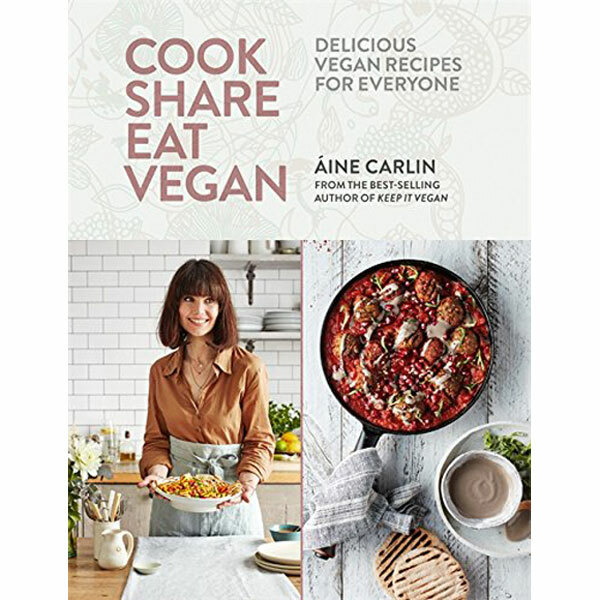 In Cook Share Eat Vegan, Áine has created the ultimate vegan bible, with more than 125 recipes that prove there’s a place for plant-based food at every table. 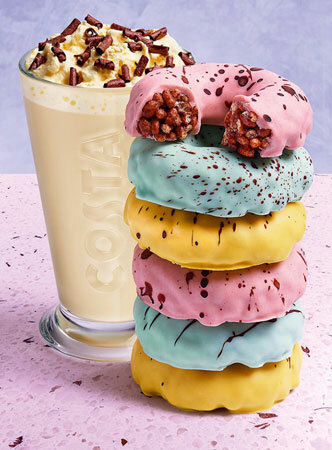 Delight your friends with Crispy Cinnamon Potato Tacos, enjoy a warming bowl of Turmeric & Sweet Potato Soup, or indulge in a delicious Vanilla Panna Cotta. Discover recipes for every occasion and for all times of year – that just happen to be vegan. Find out more about Veganuary.